When it comes to large Hudson Valley venues, few are adventurous with their programming in quite the way Basilica Hudson is. Since launching in 2010, the former foundry (built in 1880) has presented daring programming in live music, film, art, dance, and other disciplines, with the yearly SoundScape and Drone festivals being signature events. On February 2, the towering facility will stage Imbolc Riverfire, a community-themed happening named for the traditional Gaelic festival marking the beginning of spring and described by Basilica’s website as “an Elysian festival of fire and light.” Intrigued? Me, too. “Through music, movement, sculpture, and performance…,” says the venue, “the multidisciplinary installation follows the metamorphosis of [Greek goddess of the harvest and fertility] Demeter into different forms as she searches for her daughter, Persephone, who has been abducted by Hades, god of the underworld, and taken beneath the Earth to be his bride.” Not to give much more away, but the production promises fascinating-sounding large-scale moving sculptures, puppetry, and a speech and movement chorus that incorporates poetry and dance into the installation. 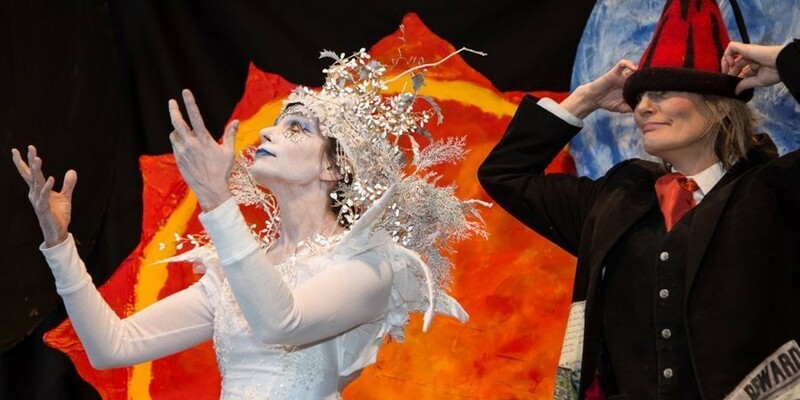 Basilica is coproducing the event with Harpooned Productions, a theatrical/arts troupe headed by veteran director and Imbolc Riverfire creator J. Patrick Doyle. Imbolc Riverfire will be premier at Basilica Hudson on February 2 at 4pm. Tickets are $25 (children under 12 are $10; children under 6 are free). For tickets and more information, visit https://basilicahudson.org/.